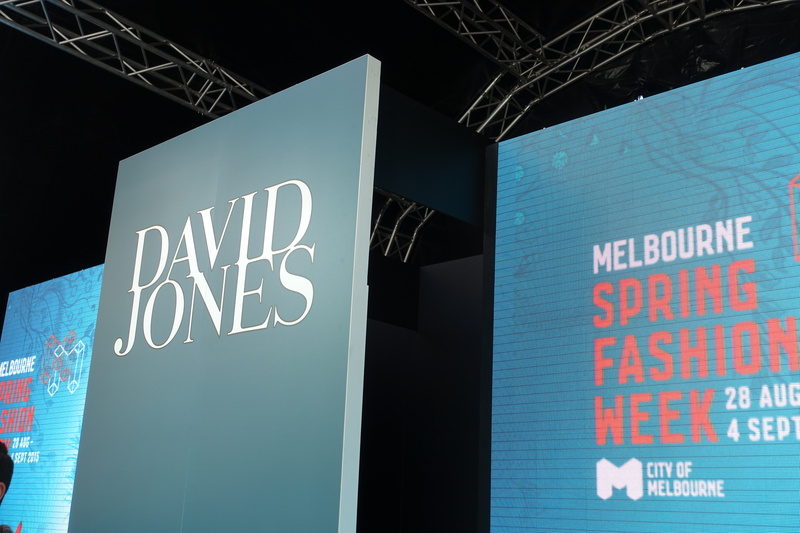 Darling dollface, if you’re expecting a post from each and every day of Melbourne Spring Fashion Week (MSFW) 2015 a la 2013 and 2014 you’ve come to the wrong place! 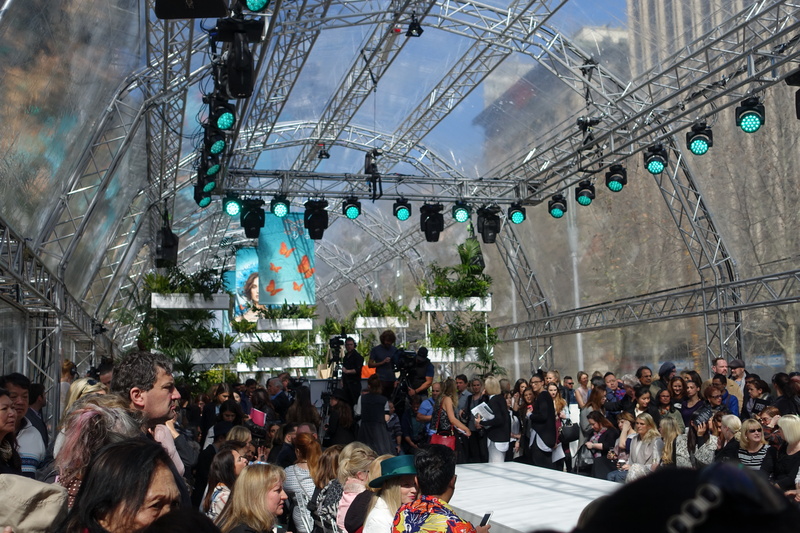 At the end of last year’s MSFW I was completely and utterly exhausted, and not to mention thoroughly underwhelmed (can one ever be just whelmed?). I went to an event every day (aside from one that got cancelled last minute) and it went for nine days straight!! I remember being disappointed with the selection I chose and vowed not to attend each and every event that kinda looked good. When the program was released a few weeks ago I stuck to my guns and selected only runway shows to attend as they were definitely the winners during the festival. 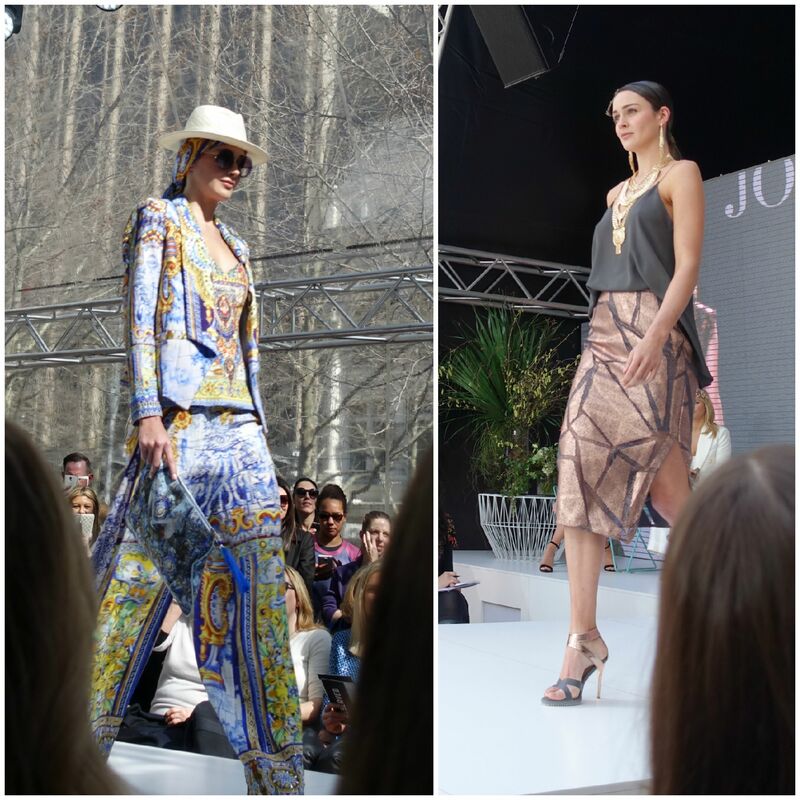 Yesterday I attended the David Jones Spring Racing S/S 2015 Runway show at the MSFW hub in the city square and I was so glad I did. 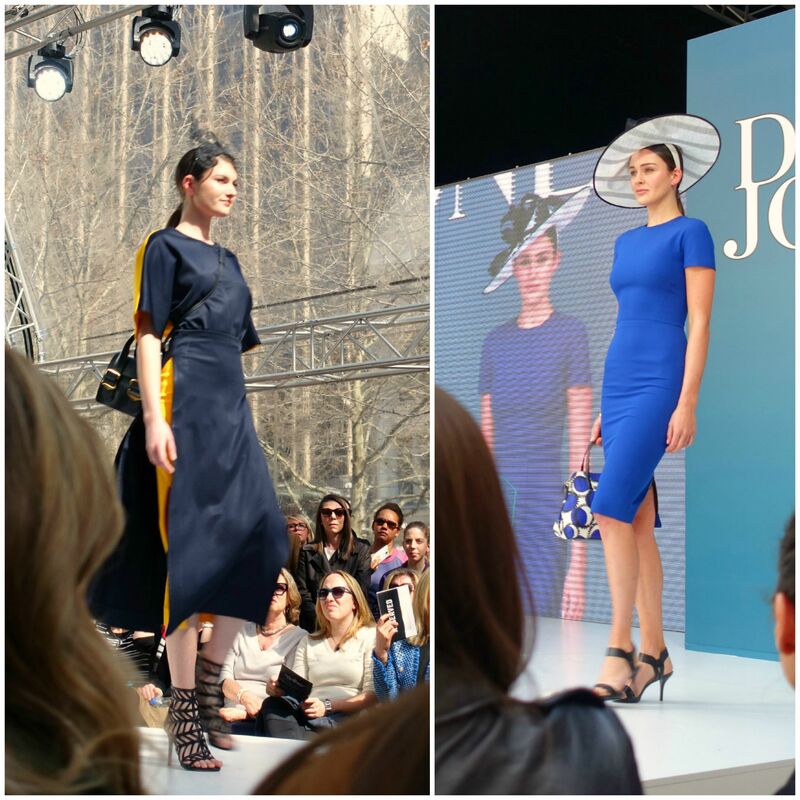 There were some truly gorgeous dresses out on the runway and I got excited for the upcoming Spring Racing Carnival which starts in a couple of weeks. 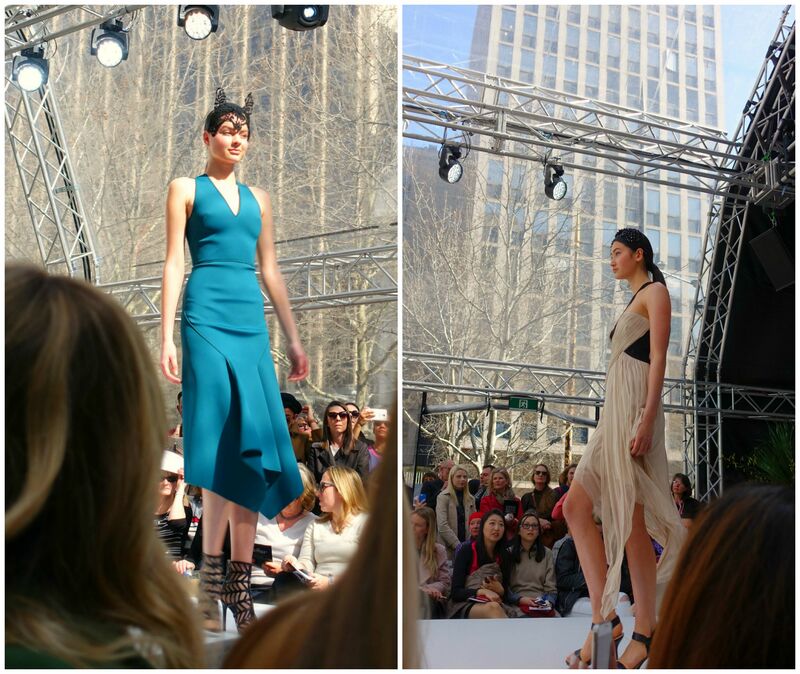 Here’s a selection of my favourite pieces from the collection. Now, bring on the ponies! (L) – Josh Goot yellow & black top and skirt, Nine West black heel, Morgan & Taylor black fascinator, Emporio Armani black handbag. (R) – Victoria Beckham blue structured dress, Nine West black heel, Fiona by Fiona Powell black & white hat, Kate Spade canvass bag. 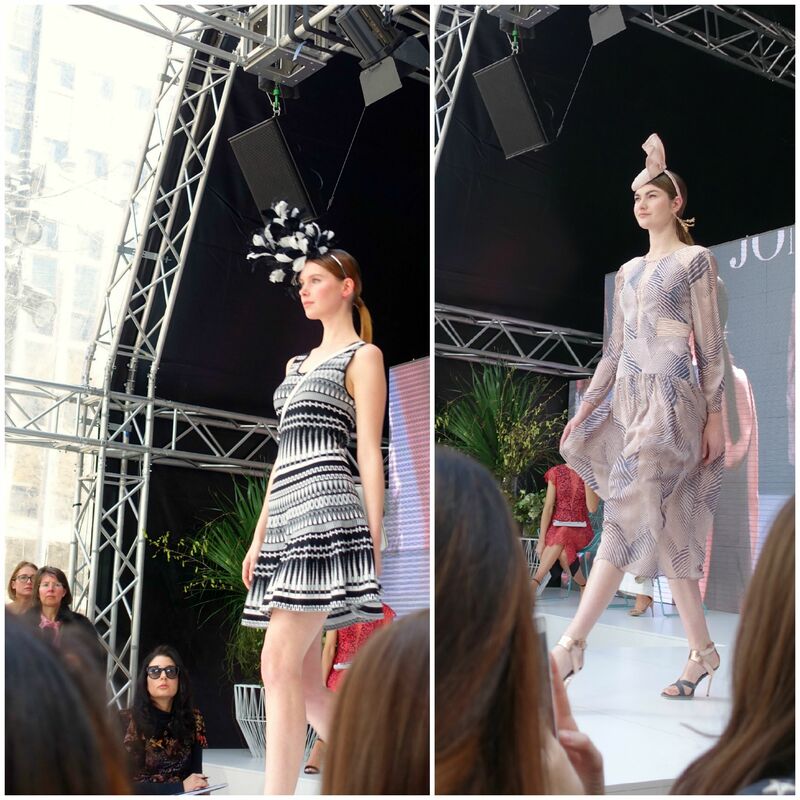 (L) – Sabatini black & white dress, Fiona by Fiona Powell black & white headpiece. (R) – Ginger and Smart rose gold dress, Ginger and Smart rose hold heel, Olga Berg champagne hat, David Lawrence earrings. (L) – Camilla multi-coloured jacket, corset, pants, scarf and bag. Helen Kaminski wide brim hat, Miu Miu sunglasses. (R) – Ginger and Smart cami and rose gold skirt. Ginger and Smart rose gold heel, Gregory Ladner floral headband, Samantha Wills gold necklace. 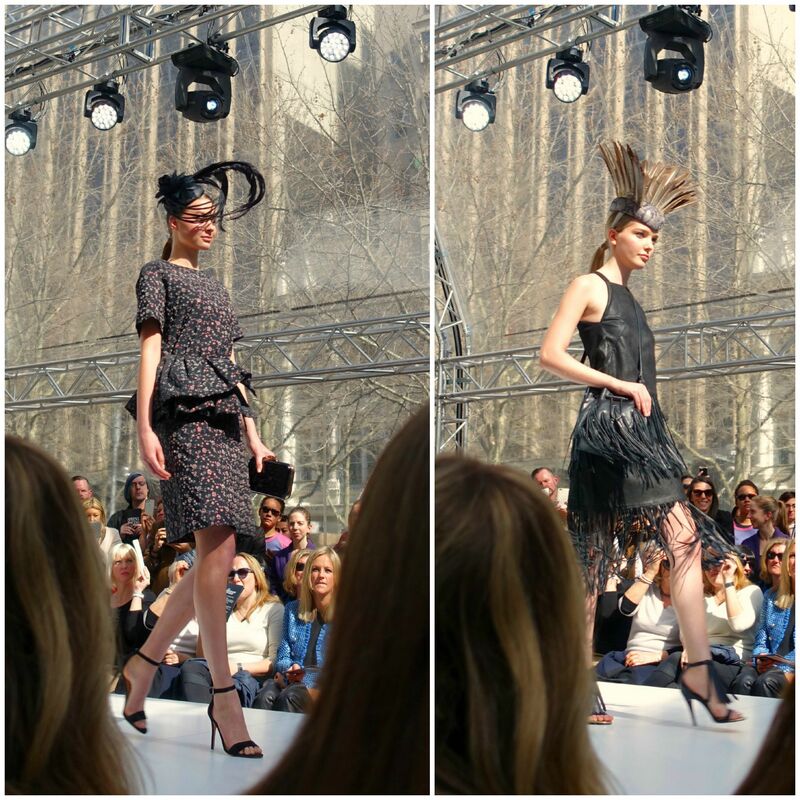 (L) – Dries Van Noten black metallic dress, Nine West black suede heel, Fiona Powell black feather headpiece, Olga Berg black clutch. (R) – Kit X fringe skirt and top, Camilla and Marc fringe heel, Fiona by Fiona Powell hat, Mimco fringe handbag. (L) – Dion Lee emerald dress, Nine West black heel, Morgan & Taylor lace headpiece. (R) – Willow draped champagne dress, Nine West black suede heel, Gregory Ladner black and studded headpiece. Maje shirt, skirt, belt. 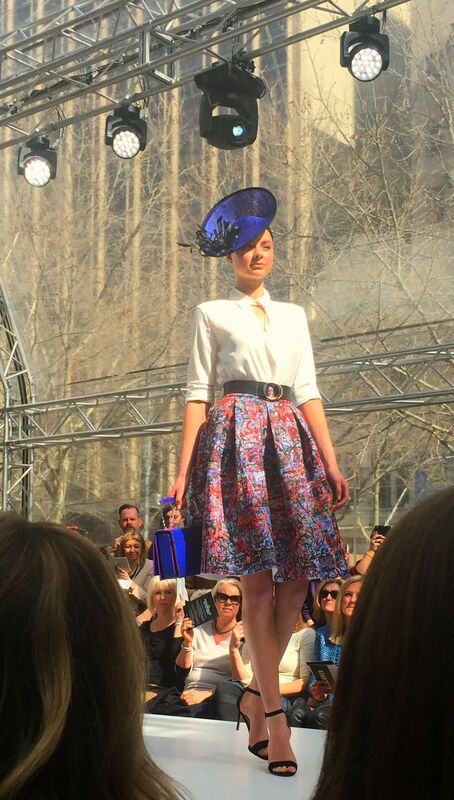 Nine West black suede heel, Max Alexander blue and black hat, Emporio Armani blue handbag. I’m so short! That was a lucky shot!! Oh to be able wear all this without causing a scene!